With more than 11 per cent of the entire continent protected, including the planet’s largest organism, the Great Barrier Reef, as well as dozens of huge national parks, Australia remains a world leader in eco tourism. Indeed, whenever travelling outside of an urban centre, it makes sense to consider an eco tour in Australia. A large number of activities here that take place outdoors and depend on the abundant wildlife and natural beauty of the country. Many eco tour groups promise a carbon neutral experience that puts tourists’ dollars into the pockets of local communities, including aborigines, while aiming to educate travellers about the environment and the flora and fauna en route. 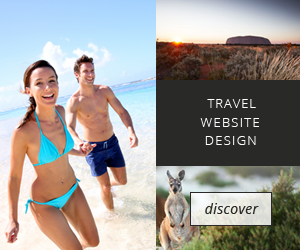 Many tour operators that offer such services can be located in Cairns in particular, the main tourist hub for travel in and around the Great Barrier Reef. This is an area that increasingly relies on responsible tourism due to the fragility of its unique underwater reef and associated species. 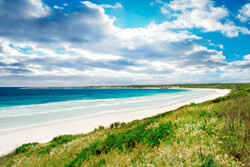 Tasmania is another key destination for eco tourism, which benefits the island’s large, untouched interior. Camping here is popular with Australian eco tours that aim to leave the environment in the same condition as it was found. This is especially important in Australia’s many rainforests. Eco tours in Australia are particularly popular in the likes of Daintree Rainforest, a huge expanse of tropical wilderness in the northeast of Queensland. If this all sounds a bit too much like hard work, the Margaret River outside of Perth features luxury eco tours that include wine tasting. Take a 4WD tour of the” World Heritage Barrington Tops” with Goldies in style. A fully air conditioned 4×4 which seats four people. Birds, Bees, Trees and Things run eco tours introducing the Aboriginal culture of north east Arnhem Land, and also offer fishing experiences.